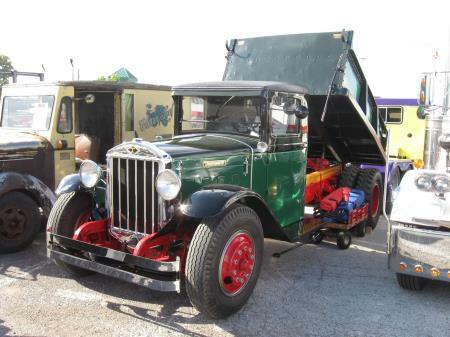 Neat old dump truck. Emblem removed. Photo from Don MacKenzie. Definitely a Diamond T.. I have pictures of it at Springfield MO. Diamond T here as well. -13 below here this morning, so the old furnace conked out. The repairman just left. Felt like an igloo ! 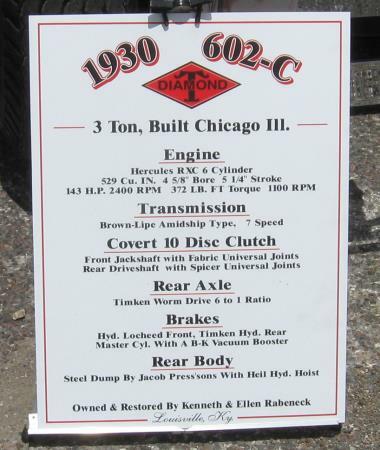 It's almost unanimous, this is a 1930 Diamond T 602C 3 ton dump truck. 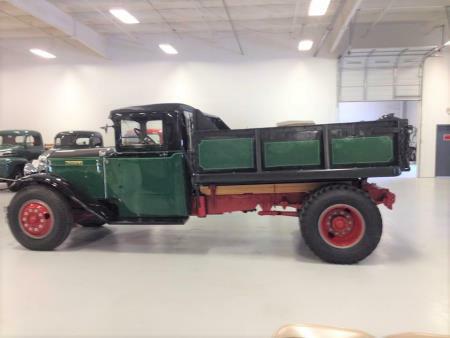 This beautiful truck was restored by Ken Rabeneck of Louisville Kentucky and is now part of the Keystone Tractor Museum in Virginia. Stretch had this first. Thanks to Don MacKenzie for our WAI photo. The other two are mine from the Springfield Missouri ATHS show in 2014.